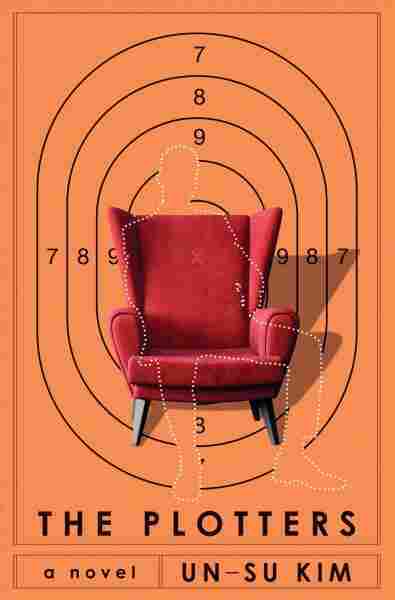 Don't Judge 'The Plotters' By Its Cover ... Blurb Un-Su Kim's novel about competing guilds of assassins in Seoul, South Korea, is billed as a mashup of Tarantino and Camus, but our reviewer says the reality is somewhat more Camus and less compelling. They say you shouldn't judge books by their covers, but seldom are we warned you shouldn't judge them by their blurbs. Logic indicates it's useless to grow too attached to blurbs, and yet they seem to color our perception of novels. Sometimes blurbs taunt us, sometimes they underwhelm us (how many "most exciting books of the year" can pop up before you begin rolling your eyes?) and sometimes they tantalize us. What, then, of the blurb adorning the review copy of The Plotters by Un-Su Kim (translated by Sora Kim-Russell), claiming it's a mashup of Quentin Tarantino and Albert Camus? I was terribly interested to read this book based only on that single sentence. The problem? First, I think they should have gone with a mash-up of John Wick and Camus, which seems more appropriate. (Tarantino does have long scenes of dialogue and graphic violence, but Wick has the shady assassin guilds and hitman with a history, plus it just seems a hipper pop culture reference.) Second, I'm sad to say there's a lot more Camus than John Wick in this novel. The setup is thrilling enough: competing guilds of assassins in South Korea. Reseng is an assassin who has been raised by crotchety Old Raccoon, and who serves as middle man for the "plotters" of the title, hiring killers and handing them their assignments. But Old Raccoon's glory days are behind him and he is being pushed out of the market by the younger and hipper Hanja. Much of the joy of the book comes from seeing Reseng meet a number of quirky characters, including a man who runs a crematorium, an old assassin who moonlights as a barber and a talkative tracker who can find out anything about anyone for a price. Sadly, the women who populate The Plotters are less compelling than the men, though even then Reseng is not that interesting of a character to follow. You would think a killer who grew up in a library, taught himself to read and has an affinity for literature would hide a lot more under the surface than Reseng does, but he's a rather shallow creation. Similarly, what at first seems like a diabolical plot that will upend the assassins' worlds and plunge them into a vicious war ends up being a bit of a meh situation. And Hanja, who was Old Raccoon's protégé, invites us to imagine a big Shakespearean tragedy in the works (adopted assassin against adopted assassin! ), but that plotline also stutters. There are two novels here. The one that is promised at the beginning of The Plotters, when Reseng has a conversation with a target, a conversation which is thrilling and keeps you guessing about the conclusion, and then another novel that just peters out. Some nice noir moments, like Reseng discovering a bomb in his toilet, end up feeling like puzzle pieces that don't quite align. Maybe it's the Camus elbowing away the Tarantino that produces such a result. Maybe I simply shouldn't have looked at the blurb. Silvia Moreno-Garcia is an award-winning author and editor. Her most recent novel is The Beautiful Ones. She tweets at @silviamg.